On Tuesday morning, the start of our second full day at camp, we woke up early (5:45 am!) and took a 6:15 shuttle to the ballpark, arriving a little after 6:30, when it opened. 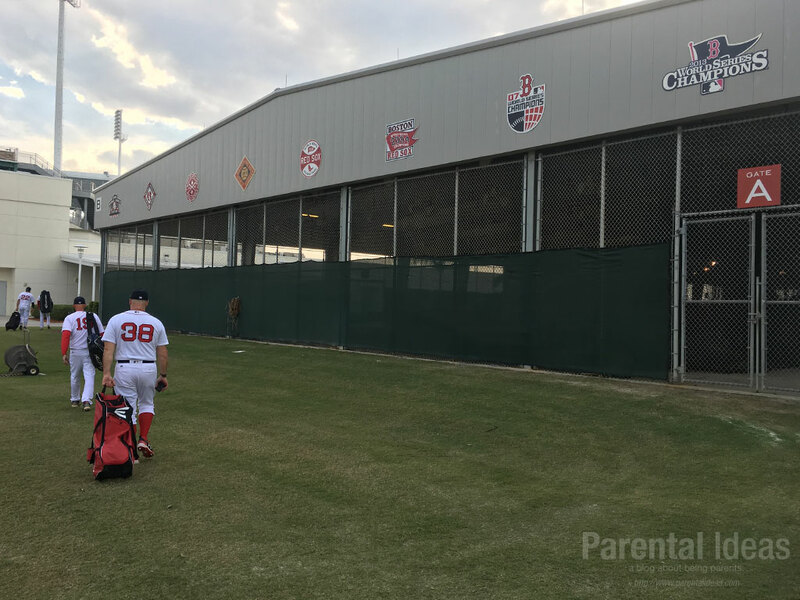 Amazingly the place was buzzing with excitement and guys were in the battling cages taking cracks at the plate preparing for the first games. I ate breakfast with my dad and then went to see the trainers to get warmed up. 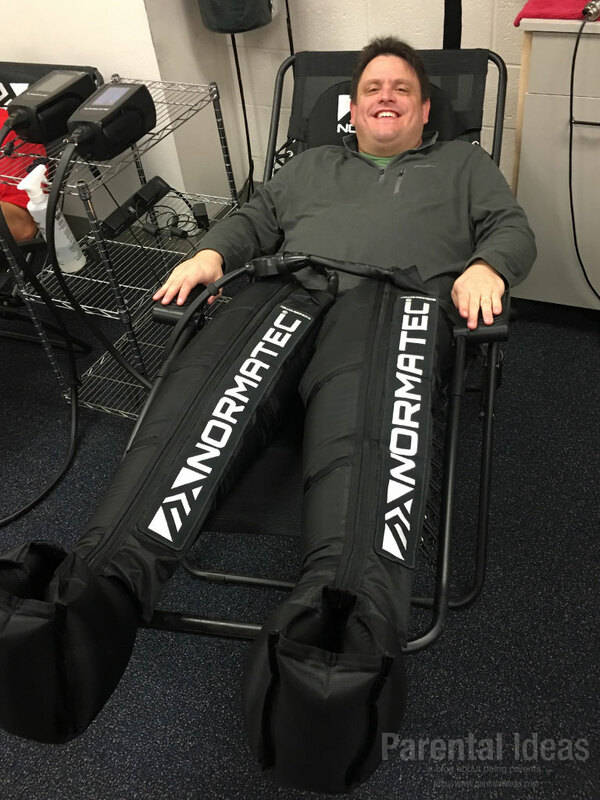 Brandon had me try the Normatec machine, which basically is like putting your legs into a huge heart rate cuff boot that goes all of the way up to your hips. It sounds weird but felt AMAZING. 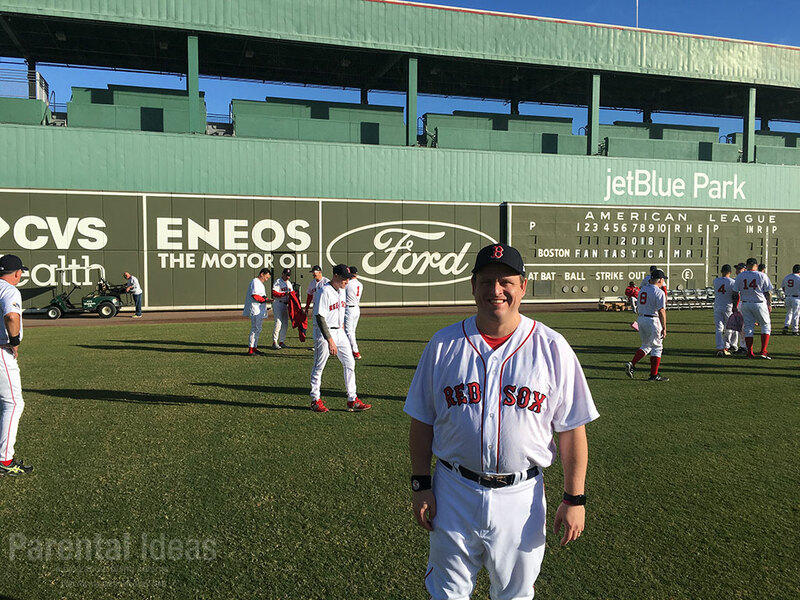 We went out to the outfield of JetBlue Park to take our all-camp photo with the original green monster scoreboard behind us. Stepping onto that field for the first time was pretty surreal. 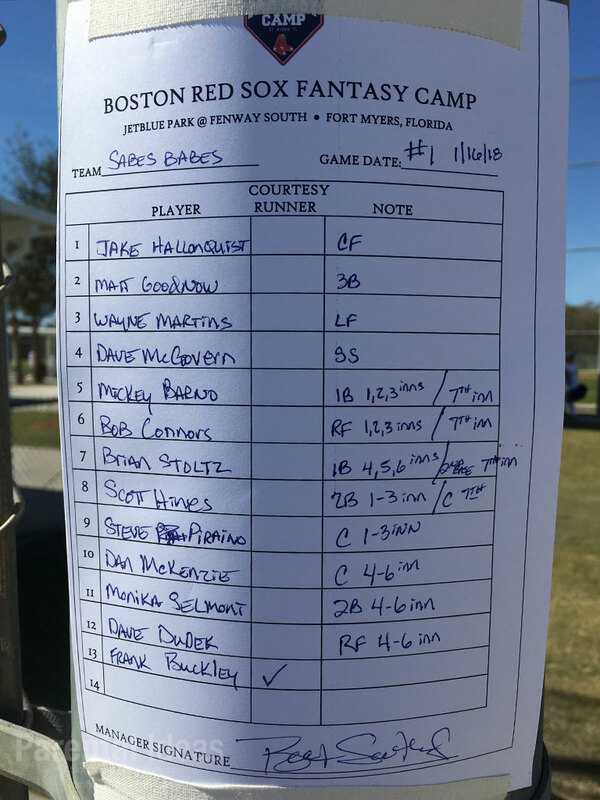 We played our first game against the team coached by former Sox pitcher Lenny DiNardo. We won the game 3-1. 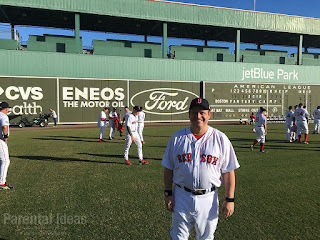 I played in the right field from the 4th through the 6th inning and enjoyed it. 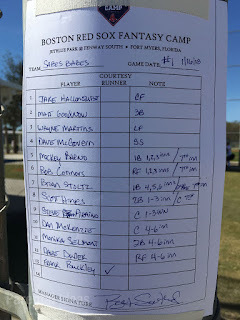 The morning games have one of the team’s coaches pitch. We were very fortunate to have Tom “Flash” Gordon pitching to us and rather than trying to strike us out, he gave us pitches to encourage us to hit. During my first at-bat I grounded out, but had some fun. My second at-bat I hit a pop fly which was promptly caught. Met two women who played in the All-American Girls Professional Baseball League (AAGPBL), which the move “A league of their own” was based on. 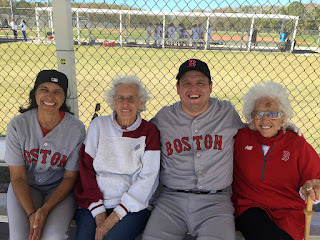 Maybelle Blair and Shirley Burkovich were enjoying the Florida sun and some baseball games, and my teammates and I had the chance to sit and chat with them. It was great to hear some of their stories from playing in the league. I asked Maybell and Shirley one of their favorite things about baseball and they said it was the sound of baseball cleats on concrete going clack clack clack and its rhythmic beat. Lunch was delicious and guys were going around getting autographs from some of the professional athletes. After lunch, I went to the trainers and they told me to go in the ice tub for 10 minutes. 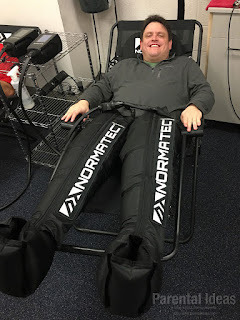 I thought they were kidding, but after I tried it, it was chilly for the first 3 minutes but then I warmed up to it and it was amazing for my tight muscles. I took the advice of taking it slow and watched our afternoon game and cheered on the team from the dugout. 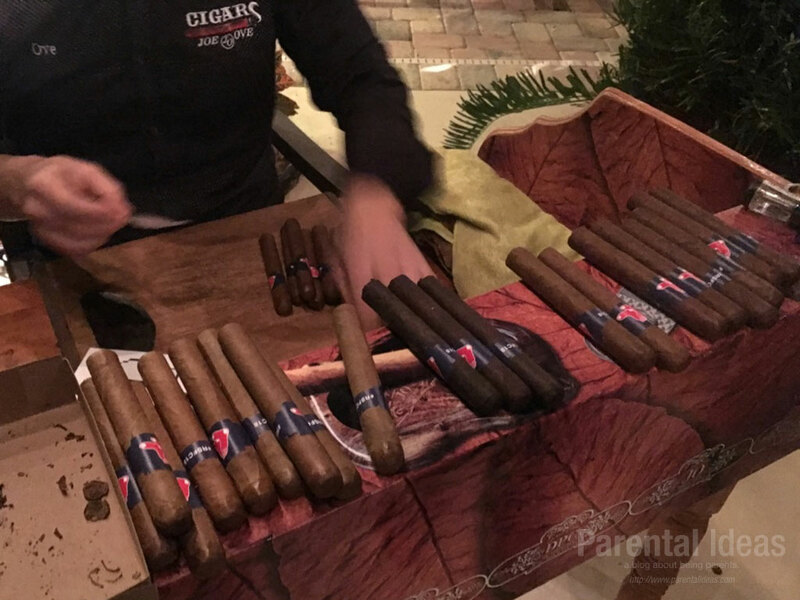 While some people went to a place to go bowling, I went to cigar night (even though i don’t smoke cigars) and talked with some of the players as well as professional sox alumni. 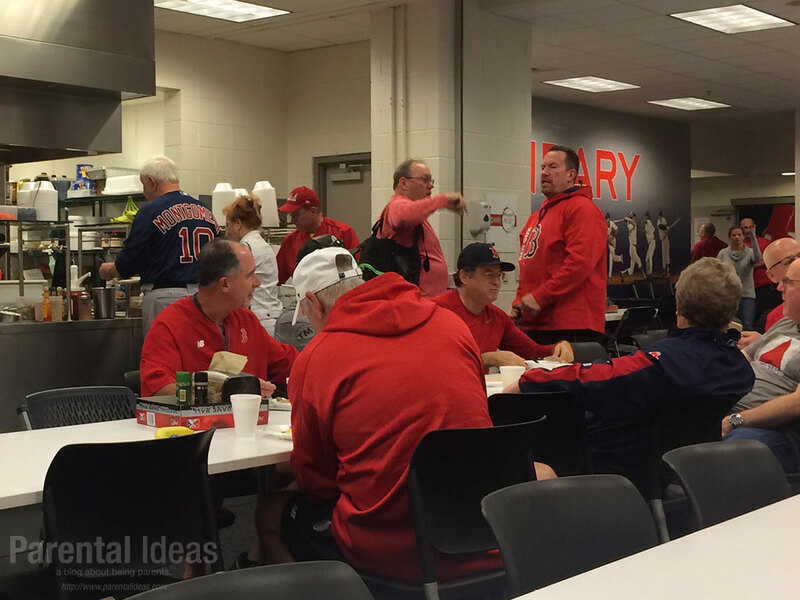 I enjoyed getting to know some of the players and coaches on a more personal level. Lenny DiNardo is a great guy, down to earth and fun to hang out with. He’s also really great at playing the guitar.